Chaz is a third generation Presbyterian, who graduated from Austin College in Sherman, TX. He attended and graduated from Louisville Seminary where he met his wife Janet, who is also a teaching elder. Chaz served congregations in St. Joseph, Mo; Hope, AR; and Midwest City, OK; before beginning judicatory ministry in 2007. He served as Interim Executive Presbyter in the Presbytery of Missouri River Valley and Executive Presbyter of the Presbytery of the Twin Cities Area. Chaz and Janet have two children; Mike, who is an architect working in Seattle, WA and Courtney who is a work at home mom living in Oklahoma City, OK. They have been blessed with four grandchildren of Oklahoma City. Chaz enjoys watching and participating in various sports including fencing. He and Jan enjoy traveling and watching baseball games. 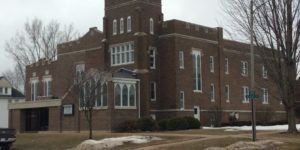 PRAYER CHURCH OF THE WEEK – POSTVILLE, IA, COMMUNITY. 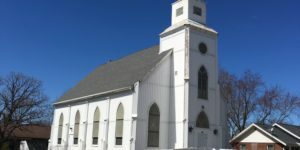 PRAIRIE DU SAC FINAL WORSHIP SERVICE – You are invited to attend the final worship service of First Presbyterian Church, Prairie du Sac, WI on April 28th. Click here for more information.